The vertical drop from summit to base is 2920 ft. The average difference in altitude between base and summit of Ski Resorts in Italy is 3087 ft. The ski resort takes you to an elevation of 5249 ft.
Scopello Alpe di Mera is among the 10 best rated Ski Resorts in Piedmont. 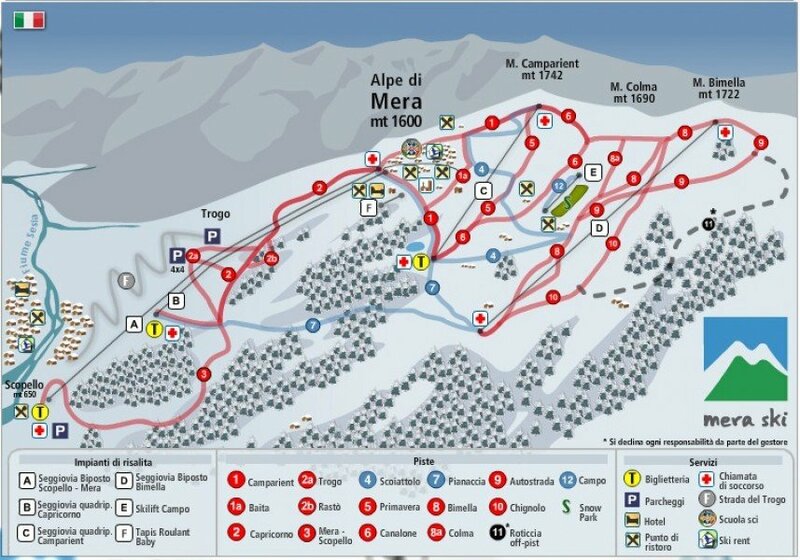 Offering 17 miles of slopes and terrain, Scopello Alpe di Mera is among the 10 largest Ski Resorts in Piedmont.